In February; DEF conducted an awareness workshop for Warli artisans in Talasari block of Maharashtra to revive the beautiful Warli art. The session saw participation of 36 Warli artists, students and other stakeholders who discussed the challenges related to market availability, designing, raw material and pricing and provided ideas about global market. DEF’s efforts in the handloom cluster of Barpali under project DigiKala, an initiative supported by Microsoft, were recognised by the Veer Surendra Sai University of Technology in Burla, Odisha. 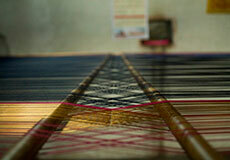 The institute invited the project to display its exquisite Ikat handloom products at the Makers Fest in February. 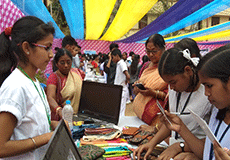 Makers Fest is an amalgamation of festivals celebrating innovations, innovators and artisans. 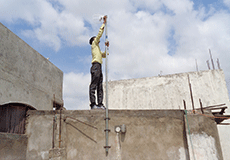 In an effort to make the Internet more accessible to weavers in Musiri, Tamil Nadu, and enable them to access the Internet, 100 wireless Internet nodes were set up in March at public places such as hospitals, schools, cooperative societies and even at DEF’s regional weavers’ centre. Project Musiri is an initiative of DEF and Mphasis to digitally empower weavers in the region. In March, a training of trainers ToT) was organised in Kanchipuram under DEF’s KanchiLoom project to digitally empower the weavers of Kanchipuram, Tamil Nadu. In this ToT, participants were familiarised with advanced-level social media and Internet use, using IEC methodology that focused on the needs of the trainers to further train relevant stakeholders in their community. Baank-e-loom, under the ambit of DCDP, has till date, enrolled 1198 students in digital literacy curriculum out of which, 121 girls have successfully completed their tailoring and embroidery course, whereas over 100 homemakers and teenage girls have been digitally trained in computers. Baank-e-loom has digitally transformed around 280 people into entrepreneurs who are now working and further training in their respective fields. 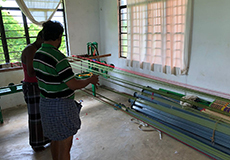 Under DEF’s Digital Cluster Development Programme, all artisan clusters are blossoming with the marriage of digital technology and handloom weaving tradition. October started off with the celebration of Daan Utsav (Joy of Giving week) in Saidanpur, Uttar Pradesh, and ended with two cluster-special multi-national platforms to showcase the perfect amalgamation of their calibre and tradition.